Founded upon a tradition of excellence, quality and professionalism, Jobco is committed to enriching lives through better building. A part of that commitment is providing our clients with professional consulting and strategizing services. Your investment is your livelihood, and Jobco aims to protect it. Property owners contemplating developing their vacant land, or rebuilding already existing structures, must give careful thought to how their investment will realize its greatest return and who will be able to execute that vision. That’s where Jobco comes in. 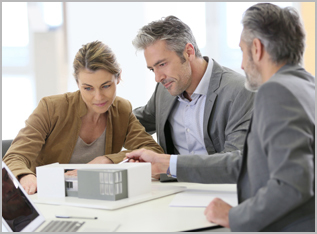 Our significant experience in real estate development and management is often tapped on a consulting basis by developers needing to strategize and help formulate a plan on how to proceed. From selecting the optimum site to calculating estimates to building an effective financial plan, Jobco will guide you every step of the way to ensure the utmost in quality, excellence and professionalism. The first step can be a complimentary consultation session, in which we discuss the goals and parameters of the project, and explain what kind of advice and guidance Jobco will provide in mapping out a strategy. Once we reach a consulting agreement, Jobco will provide the property owner with a thorough site analysis, conceptual estimate, economic analysis and financial plan. Site Analysis: Once a market area is clearly defined with its boundaries and limits, and potential sites are located, we help developers select the optimum site by preparing a detailed site analysis based on location, access, topography, zoning potential of highest and best use, and available utilities. Conceptual Estimate: We deliver accurate and reliable budget estimates for ideas early in the design process. Economic Analysis: Jobco provides economic analyses associated with strategic and land use planning. This includes cost-benefit analyses of land use regulation and development, and property value impacts of projects. We examine an area’s economic strengths and weaknesses, economic development programs and how they all impact your development project’s likelihood for success from an economic standpoint. Financing Plan: When the optimum site is selected for your development project, Jobco can work with you to develop an effective financing plan to help you purchase an option on the land, or negotiate a contract for purchase subject to zoning, final market feasibility, and specific financing terms and conditions. Our strong relationships with leading banks can also be leveraged to your benefit. Project Team Building: Jobco can put together a Project Team consisting of individuals and firms that will make the most valuable contributions within the context of your project objectives and budget, bringing in the right mix of architects, engineers, designers, contractors and subcontractors.